Who's going to pay for the drive Ableton is setting on fire? Re: Who's going to pay for the drive Ableton is setting on fire? Not being able to use the browser to simply browse the computer's file system is a big mistake IMO and makes a new feature which *looks* very good, feel very clunky. Surely for users' places, it would make more sense for the browser to simply show the filesystem (as in the L8 browser), with the index only being referenced for search purposes and items in the Library? If a newly added file took a while to show up in searches, that would be tolerable, but not even being able to browse to it feels really badly thought out. I want to join those expressing anger over Ableton Live's indexing. Abletonians, what is the design rationale behind this indexing? And, if there is a solid one, are practical implications worth it? Ranty part: Dear Ableton, don't kill your best ace on the market. It was supposed to be called "Live" for a reason. Now that "live" concept is delayed depending on the user's library size. Ironic. Extra ranty part: Smells like shoddy testing, lack of enthusiasm, too much money and too many "managers" making their "decisions". closed the user group on purpose. Hyperbole is necessary to get the attention of thick skulled companies. Comcast will not talk to you on the phone in a reasonable amount of time but reply on tiwtter very fast. There is only one question anyone should be asking : "Is your experience better?". I am a resounding NO as I am using the same hardware I have always used, pro-sumer gear for production and professional for performance. My external drive is not super fast as it is a mirror of my master library and worked great with all other audio applications. This way drives can fail and I will buy another 500gb for $60. This is a use pattern that alleviates my risk (what kind of a fool carries all their critical info on the laptop to be stolen or corrupted?) and allows me to collaborate more and better. I can only assume that short sighted talk on this thread is nothing more than a lack of experience and a failure to see beyond the dashboard. So - how is your experience? Better? so reading back through this thread you got the hyperbole which you claim is good. 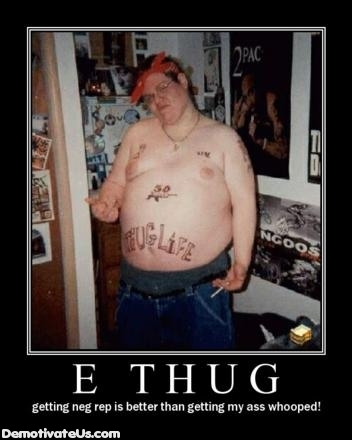 during the course of that banter everyone who replied that didn't 100% agree with you that Ableton Live is, beyond a shadow of a doubt (in your mind), at fault for your drive being incapable of withstanding having its file tables read...is an "e-thug"? you sound sad like you're feeling so very un-e-preciated. good luck. i'm sure Ableton will be sending you a personal apology and a check for a new drive any day now.